The 2 State St. location, which has been a bank for most of its 100-plus years, has been transformed into a studio with three rooms of cabinets, countertops and samples. Peters Cabinetry opened a new design center/showroom in Phillipsburg. 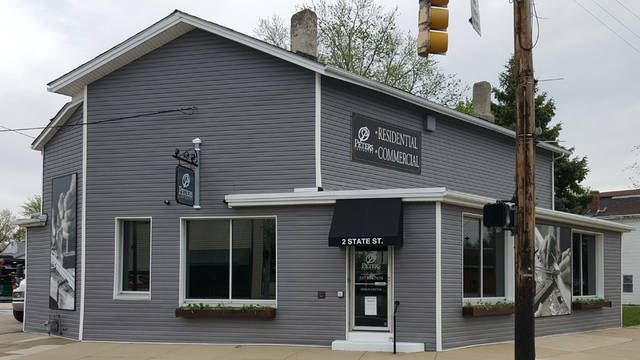 PHILLIPSBURG – Peters Cabinetry, a local cabinetry and millwork manufacturer, opened a new design center/showroom in Phillipsburg. The company, which is known for higher end residential and commercial custom cabinetry, will use this location to show its semicustom brands. The 2 State St. location, which has been a bank for most of its 100-plus years, has been transformed into a crisp, well-lit studio with three rooms of cabinets, countertops and samples. The designs range from ultra-modern to traditional/farmhouse and include painted and stained wood options along with quartz and granite countertop displays. 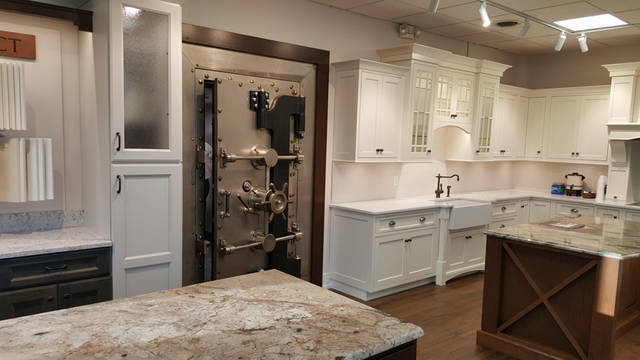 The 1920s vault is a centerpiece and customers are able to walk inside where there is a copy of the original vault door blueprints, a bank history exhibit and the old safe deposit boxes. The owner emphasized that the cabinet brands at this new location are not replacing the full custom line, which is produced locally at Peters Cabinetry’s Brookville location. For more information about this location, or to schedule an appointment, contact Jordan Turner at 37-884-7658 or email jordan@peterscabinetry.com.